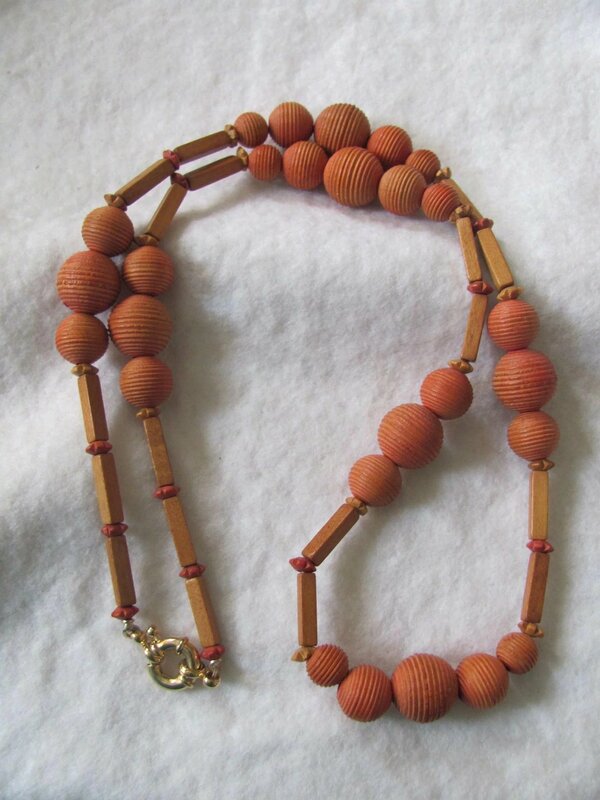 The telltale hint of the origin of this necklace is with the little carved flower spacer wooden beads. 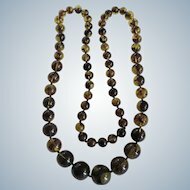 These are found in standard stock for wooden necklaces from the 30's, 40's and 50's, from European and US designer sources. 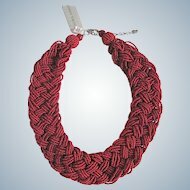 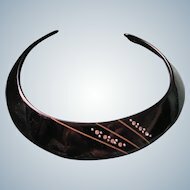 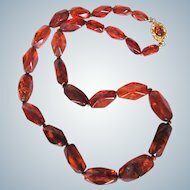 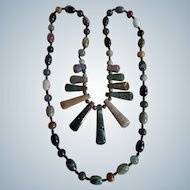 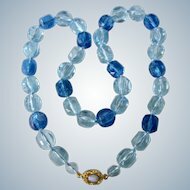 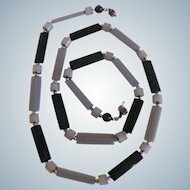 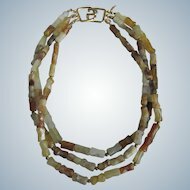 The elements of this necklace may have been made from leftover stock, from the time when trade and manufacturing in jewelry goods was possible, before WWII. 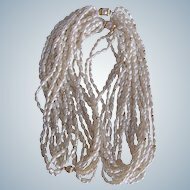 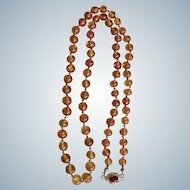 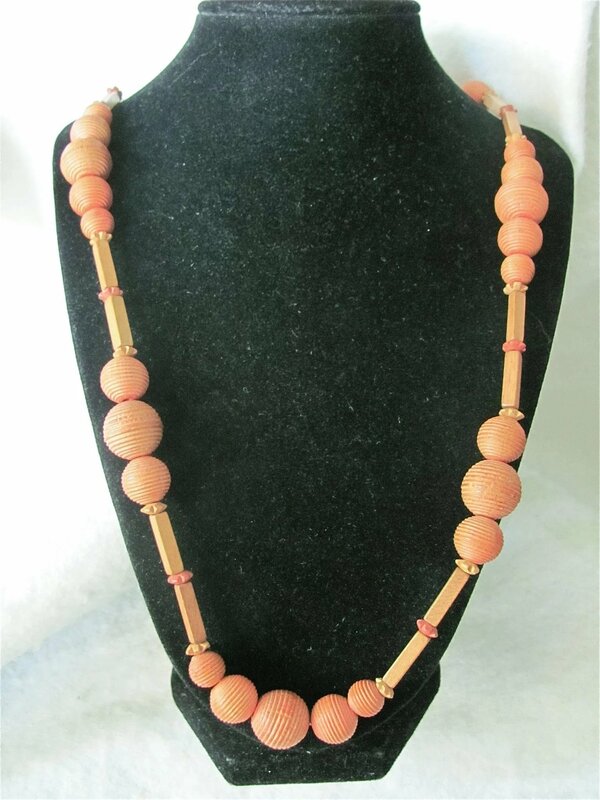 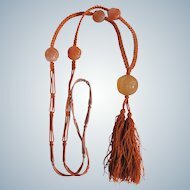 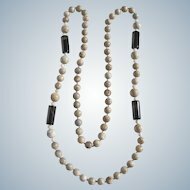 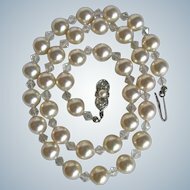 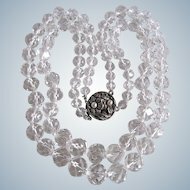 It measures 27" long and has great design variety in the hand carved graduated beads separated by squared rod beads and the iconic carved flowerette beads. 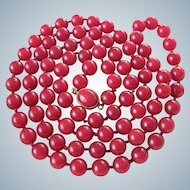 Having 5 beads in the center and then groups of 3 is such a high end designers recipe for design elements. 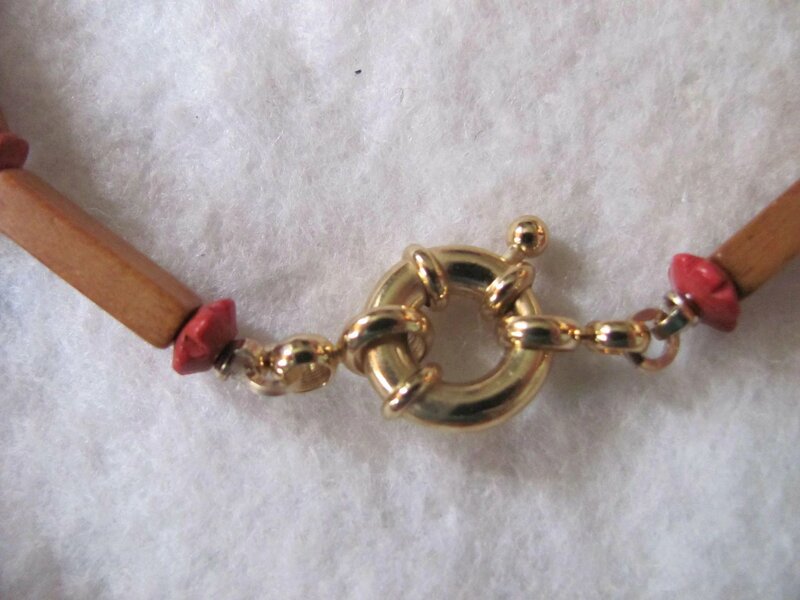 I have ha restrung it and a replacement new larger gold plated clasp has been added to make it lie better and to make it easier to open the clasp. 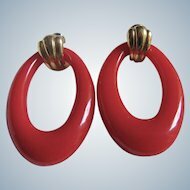 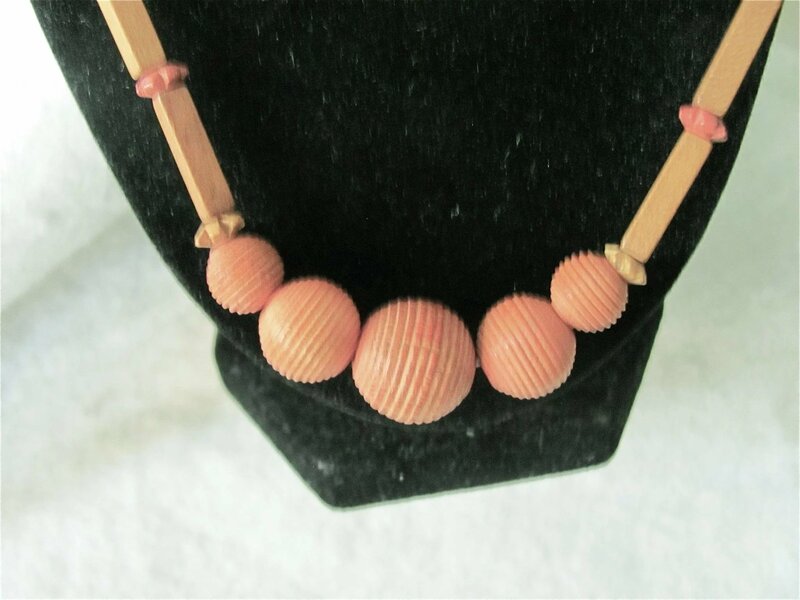 The carved round beads measure 14mm & 12mm and they are a faded peach color. 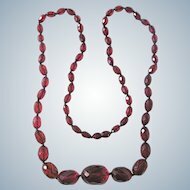 As these pieces were unsigned it is hard to be absolutely sure if they have come from a US or European source, either way they bring back a time when humble elements require high design to make such memorable piece. 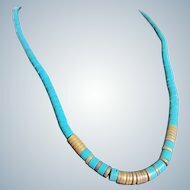 * all gold plated is tested and confirmed if not marked. 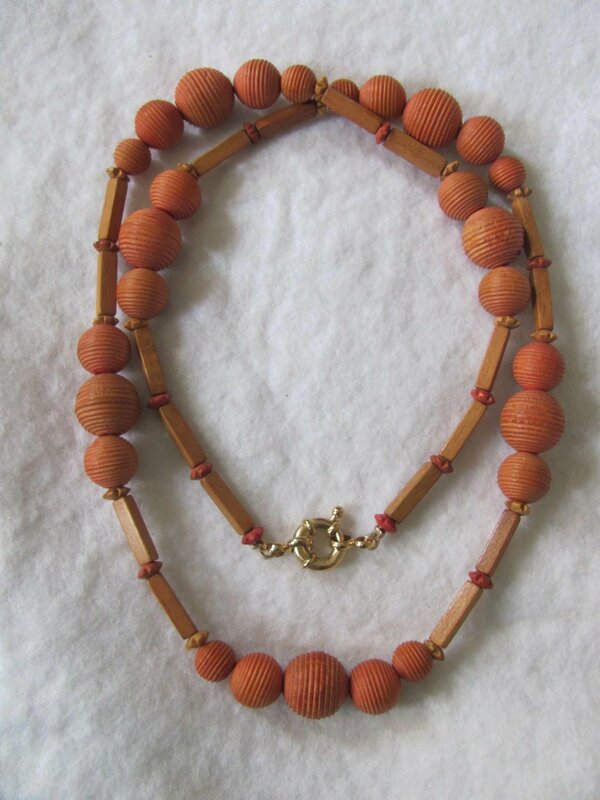 Gender: Female, Age Group: Adult, Color: Natural Wood, Size: 27"